Today is June 27, the 26th Wednesday in 2018. This weekend is the midpoint of the year, the end of June and the beginning of July. As we move into the second half of 2018, I would like to pause for just a bit and consider making a few midyear resolutions. Back in January, we all had grand plans for the year. We made resolutions to lose weight, exercise regularly, eat better, save money, perhaps start a new company, find new work, and make relationship improvements. Those and many other areas of our lives were covered in our optimistic outlook and plans for a new, improved 2018. But that was six months ago. How long did it take us to fall right back into eating pizza on Saturday night, and missing a trip or two (or three) to the gym, and spending our money immediately Instead of saving it? Some of you may be still on track with your resolutions, and if you are, I applaud you! However, many people failed to complete their New Year’s resolutions. In fact, we are told that only 8% of people follow through with their resolutions. I think there’s a reason for this low number. One reason could be the resolutions people make are so grand they become all consuming, and then they are quickly abandoned in favor of every day living. Another reason is that sometimes New Year’s resolutions are a list of wishes instead of a commitment to change. And yet another reason is that we have this underlying idea that New Year’s resolutions are made to be broken. But whatever the reason, most people fail to follow up. So, today I am proposing that at the halfway point in 2018, we make midyear resolutions. These resolutions need to be made with the express purpose of completing them. Remember back in school when you would have races during PE? The teacher would say, “On your mark…get ready…get set…GO! That’s exactly where we are right now. ON YOUR MARK, is now. It is today. It is the halfway point of 2018. On your mark, GET READY. To get ready is to decide your goals for the next six months. This is a very limited timeline, so I would advise you to choose just one or two things that you want to accomplish in the next six months. Don’t go crazy and make a list of 15, unless you are willing to put the effort into making 15 changes in your life in the next 26 weeks. To be most effective, choose just one or two defined areas to receive your attention and focus. There are three keys you must know as you choose and set goals. 1. Be specific. If you want to lose weight in the next six months don’t just write down a goal of losing weight, because that could be a pound or 40 pounds. Be very specific. “I will lose 5 pounds a month between now and the end of the year.” Or “I will lose 20 pounds before December 1.” Or maybe you want to save money. “I will save $2,000 by Christmas.” Be very specific about your goal. 2. Be reasonable. Don’t make a midyear resolution of qualifying for the Olympics in a sport that you are beginning this weekend. That would be fantastic, but it is not truly a reasonable goal. Know what you want to accomplish and set yourself a goal that is doable. The object here is to reach your goal, not to set something so unattainable that you give up. So be reasonable. 3. Be inspired. Make your goal something that stretches you, something that is not part of your every day experience. Set a goal that will change you and create growth in you. Maybe your goal is to read two books a month until the end of the year. That’s a great goal, and when you choose those books, choose books that make you better. On your mark, get ready, GET SET. ‘Getting set’ is getting in position, and to be positioned for success in achieving your midyear resolutions you need to evaluate two areas. 1. First, you need to evaluate your time. If you’re going to add one or two goals to accomplish in the next six months - goals that grow you, goals that make you better, goals that open up another avenue of purpose in your life - you need to know what time you have available to work on these new goals. Take a piece of paper and write down what you spend your time doing every day. Block out seven or eight hours for sleep and whatever amount of time you spend on your job, then look at where you spend your extra hours. It is in those ‘other hours’ that you will find the time to put toward your new goals. Are you wasting time during your day? Is there an extra hour in the morning or evening that you could dedicate towards your goals? Time is our most precious commodity. Time is all we have. At our job, we trade our time for money. With people, we trade our time for meaningful relationships. Time is our currency, and the truth is everyone has the same amount of hours in the day. Successful people just use their hours more efficiently and effectively and more wisely than other people. So as you are getting set, evaluate where you spend your time, for the purpose of locating the extra minutes and extra hours to focus on your new goals. 2. Second, you need to evaluate your goals. When I say ‘evaluate your goals’ I mean think about why you want to do the goals you listed. If you listed that you want to save money, why did you put that? If you want to be more healthy, why? Why do you want to lose weight? Why do you want to find a new job? Why do you want change in your relationship? Your reason is everything. Your reason has to be strong enough to push you through when you want to quit. Your reason has to give you fuel. Do you want to be more healthy so that you will be able to play with your grandkids one day? Do you want to save money so that you can go on an international trip? What is your reason for your specific goal – in other words, what is the goal behind your goal? That is your finish line; that is your prize. That is what you are really working to obtain. Write down your ‘why’ and put it where you can see it every day. It is the ‘goal behind the goal’ that will motivate you to keep your midyear resolutions. On your mark, get ready, get set, GO! Now get started! This Sunday is the beginning of July, and there are six months remaining in this year. But why wait until Sunday? Starting today, you have 188 days to accomplish your midyear resolutions. Get busy. If you don’t know what to do first, my suggestion, and I highly encourage you to do this, is to look for assistance. Look for a Coach. Look for a teacher. Look for someone, anyone who will help you along this path. If this were something easy that you could do all by yourself, you probably would have already done it. But most likely, your goals are not really easy. And they’re certainly not easy to accomplish alone. Find someone to help you. If you want to eat healthy, talk to a nutritionist and do research on clean eating. If you want to save money, look up a plan for weekly savings and the best investment opportunities to compound your money. If you are struggling in a relationship, and you’re goal is to improve that in a measurable way, consider talking with a counselor or a relationship professional to give you specific action steps toward change. Whatever it is that you want to accomplish, if you don’t have a plan in place, you’re setting yourself up to fail. I strongly encourage you do what it takes to get a plan and find someone who can help you with that plan. I’d love to hear from you and to know what your midyear resolutions are. 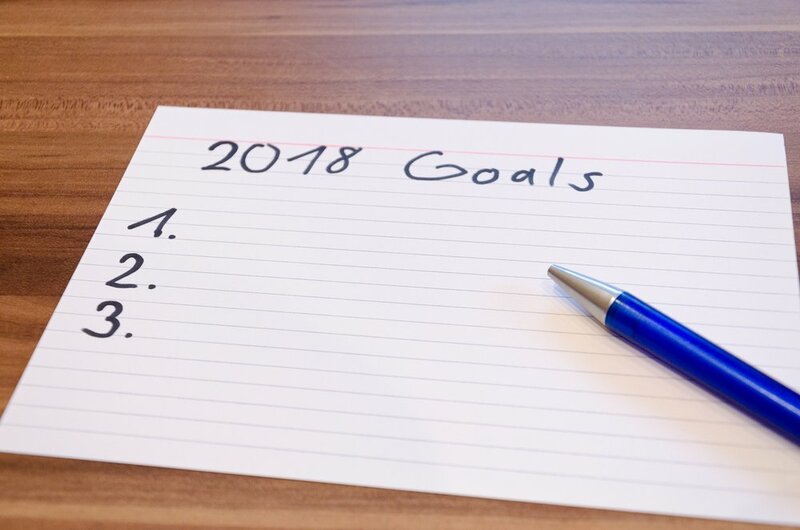 Email me at coachdave@davemartin.org and tell me what you plan to accomplish by the end of 2018. On your mark, get ready, get set, GO! And make the rest of your year the best of your year!